Cohen is so proud to be two and why shouldn't he be? 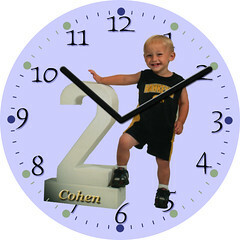 He Hawkeye's fans grandparents are glad to have this clock hanging in their sports room, where they get to hang out with all their favorite sports memorabilia. This is by far the most prized!